The enamel of the teeth is the hardest part of a human body. But acids can remove this enamel on our teeth. That process is often referred to as tooth erosion. We all very much take care of the teeth we have. 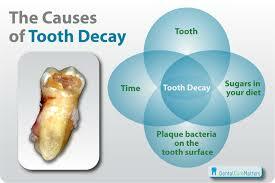 But some of our food practices and maybe some medicines will make problems like tooth erosion. Let us discuss it in detail. Enamel is the part which covers the crown. Actually crown is the visible end seen just above the gums. The crown is semi-transparent in nature. The dentin is the part which has colour. Daily our teeth undergo various rough situations like chewing, grinding, crunching etc. Enamel will help us to save our teeth. Even though it is strong there is a possibility of cracking. Unlike bones, the cracks or damage to the enamel is forever. Enamel doesn’t have any living cells like the bone. The body can repair the damage caused to the bone. But it can’t help enamel. The tooth erosion will make the tooth decay. At first, there will be small cavities. But it will start to grow and it will reach the nerve of the tooth. There will extreme pain and it may cause infection too. Pain while eating certain food items like sweets, cold drinks etc. 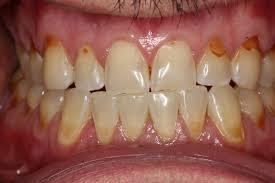 The visible colour of the teeth will be yellowish due to the enamel erosion. Extreme sensitivity towards hot or cold food items. Acidic foods will demineralize your teeth and it will affect the enamel. The pH level will be lowered when we use more acidic food items such as fruit drinks, juices, soft drinks etc. The saliva is the agent which regulate the pH level. But fruit juices are resistant to the power of saliva and it will lead to tooth erosion. Reduce the intake of acidic foods or fruit juices with high acidic content. Choose a diet with lower sugar levels. Drink with a straw to avoid direct contact with the teeth. After taking acidic food items to wait for at least half hour before brushing. It is because acidic foods may make our teeth surface softer. 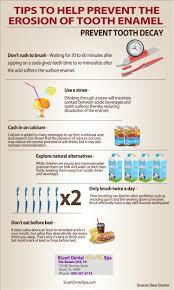 Milk or milk products can supply essential minerals for the teeth. Include them in the diet. If you have sensitivity or acid reflux then immediately treat it. These may be the initial symptoms of tooth erosion. Hope you know what causes tooth erosion and the preventive measures you have to take to prevent tooth erosion. So take care of your teeth, your smile counts a lot!! For further enquiries just visit our website All Smiles Dent Spa to brighten your smile.